«Hoila», «Griasst enk» or rather a very warm welcome to the Sonnegg guest house hotel! Those of us from the Passeier Valley like to express ourselves in the language we grew up with, our beautiful Tyrol dialect, which is hard to understand, yet it speaks volumes. We love our land with all of our heart, including the magnificent mountains that overlook our guesthouse located in the Merano area of the Passeier Valley, which is filled with glaciers, alpine meadows, the palm trees of the city, the higher mountain huts, meadows, forests, the edelweiss and the rhododendrons. Our song “Oh wie schön bisch du mein Pseiertol” (How beautiful is my Passeier Valley) also evidences this love! The town of Saltusio, Saltaus in German, in located at the entrance of the Passeier Valley, at 500 meters above sea level. 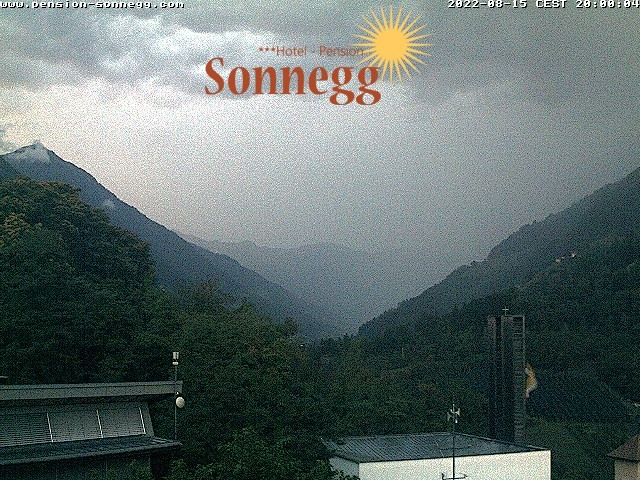 And this is exactly where our family-run guesthouse in the Passeier Valley, near Merano, is located. This is the ideal accommodation for your holidays in South Tyrol. The haute route of Merano, the natural park of the Texel Group and the paradise for hikers of Hirzer/Matterhorn Mountains are within walking distance.